Can you say you’ve seen America if you haven’t eaten a hot dog or a burger, been to a ballgame, driven the highways and walked among skyscrapers? Seeing the Grand Canyon is another one on the list of great American experiences, but only one of the many things to do in Arizona . . .
Flagstaff is a pretty cool town with a young university vibe. It’s a good base for the Grand Canyon if you can’t find accommodation closer to the national park, and it’s a good place just to relax for a day or two. There are loads of shops selling local arts and crafts. There are also some great restaurants and cafes. Try Macy’s European Coffee House for a fantastic caffeine fix and some home-baked cakes. It would also be a pity to see only the Grand Canyon, so spare some time to see local attractions such as the Lava Tube Caves or Walnut Canyon. A short distance away is the famous and massive Meteor Crater, which is 1,200 m (3,900 ft) in diameter. The Big One! America’s most famous hole in the ground is also one of its most popular attractions, meaning that accommodation and even camping spots might be hard to find in season. If you haven’t booked months ahead, it might be necessary to make your base some distance away and visit for the day. 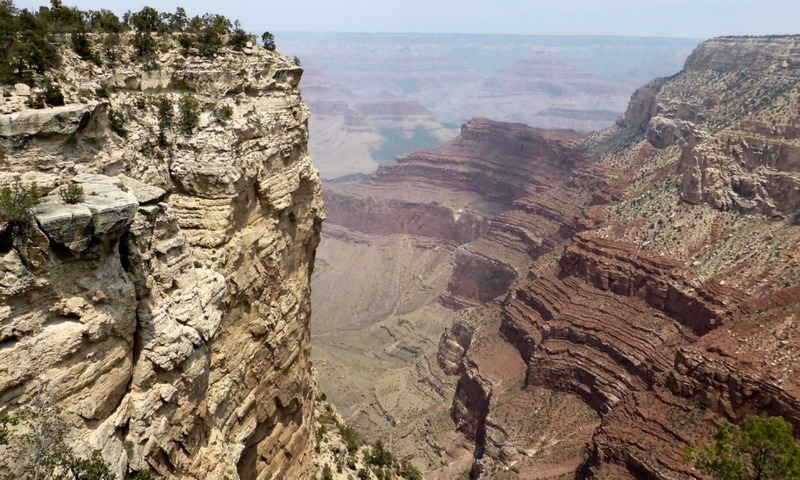 Nevertheless, there’s a huge sense of excitement as you approach the rim for the first time and stare down into the vastness – so huge that you can’t really process the size. It’s a bit like seeing the Mona Lisa or the Manhattan skyline for the first time. Somehow, these things are bigger in the imagination. After visiting Canyonlands and Dead Horse Point in Utah, you might also feel like you’ve ‘seen’ the Grand Canyon somewhere before. 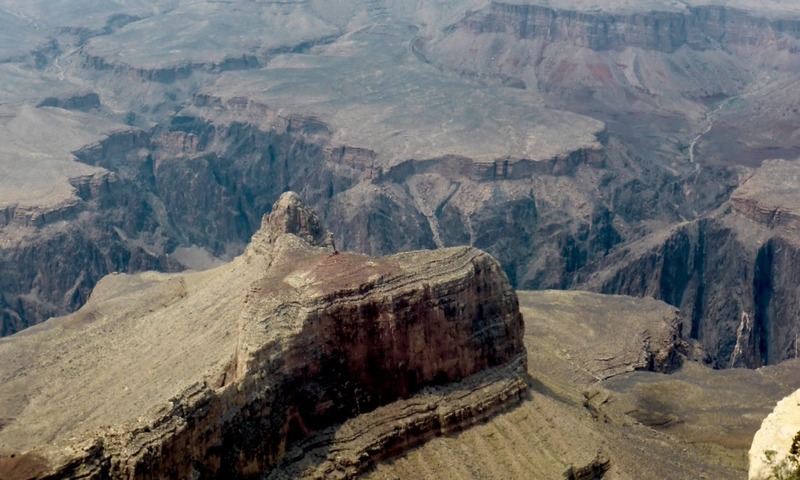 Perhaps the best – certainly the easiest – way to experience the canyon is to walk part of the rim. This way, you get numerous perspectives on the landscape and time to appreciate it. You can take the free shuttle bus to Hermit’s Nest and walk back to the visitor’s centre along the edge, stopping for a picnic as you watch birds circle above the void. More energetic people might choose to walk Bright Angel Track ten miles (16km) and 4380ft (1335m) down into the canyon, where you can camp or stay at Phantom Lodge (if you’ve booked a year in advance). It’s a tough, hot walk back to the top! Not to be confused with the smaller park in Utah, this one has some really remarkable scenery created by the weird geology of the area. 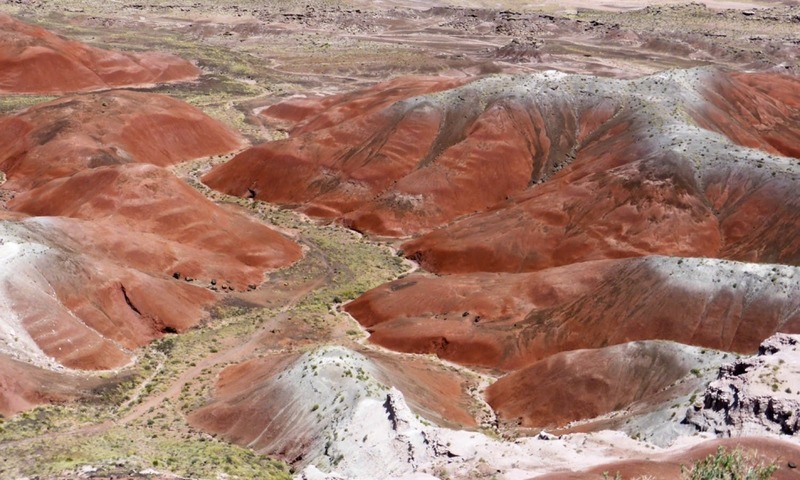 Erosion has revealed a palette of amazing colours, from the reds and whites of the Painted Desert to the strange violets of Blue Mesa. There are also plenty of fossilized tress lying around the landscape – but don’t be tempted to take any fragments. The park rangers are watching! There are a few easy walks and the different sites are connected by road. The historic Route 66 highway also used to pass through this land and you can visit an old cafe/inn from the time, preserved in in its classic Americana style. 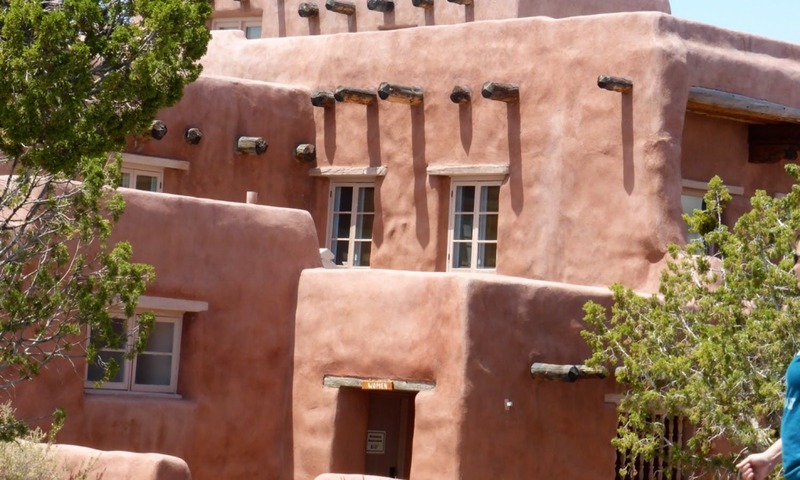 This adobe building is atmospheric enough in its desert setting, but even more evocative when you consider the waves of migration that must have passed through.